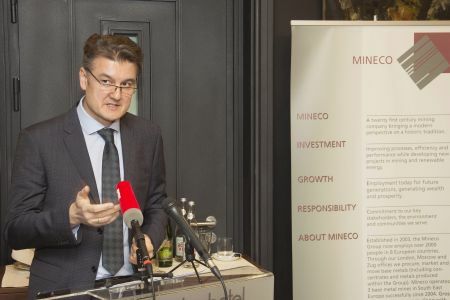 The British company Mineco Limited, one of the largest mining investors in Serbia and the Western Balkans, is pleased with its results in 2018, although in the second half of the year prices on the international market of non-ferrous metals decreased, which directly affects the mines in the group, resulting in lower revenues. “After we achieved truly the best results in 2017 since our establishment, we can be satisfied with last year as well, despite lower prices on the international market of non-ferrous metals. 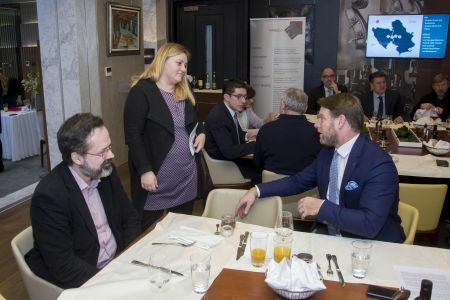 Nevertheless, a slightly lower business profit compared to the previous year did not slow Mineco’s development programme”, said Mineco Ltd Director Bojan Popović, while presenting the results of the past year. 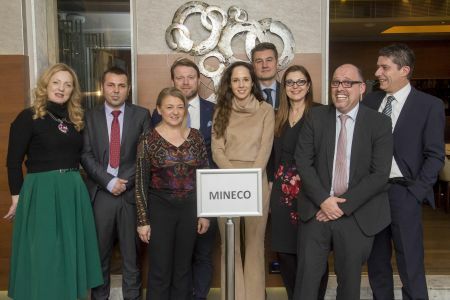 Mineco’s total investments in 2018 in Serbia and Bosnia and Herzegovina again exceeded $20 million, and the companies in which Mineco takes partial ownership opened about 115 new jobs. Popović pointed out that during the previous year, Mineco opened the lead mine near Olovo in Bosnia and Herzegovina, which is the first new mine with underground exploitation in Bosnia in the last 30 years. “Then the exploitation of ore began and it is currently being stored and waiting for processing at the beginning of summer,” said Popović, adding that in addition to $4.5 million invested over the past 12 months in further development of the mine and its infrastructure, a gravity separation plant for production of lead concentrate from the ore has been commissioned as well. According to Popović, in April this year all parts of this plant will be integrated in Olovo, after which the testing and fine tuning in production conditions will start, and the first deliveries of lead concentrate from this mine can be expected in the summer. Mineco is in the final phase of work on the European project IMP@CT, which should result in a system of equipment and processes for enabling small scale mining. On this project, funded by the European Commission, Mineco is part of a consortium with several universities and equipment manufacturers. During the spring, the delivery of a containerload of equipment to BiH is planned, where the first field tests and production will be carried out in one part of the Olovo mine, as a test mine for this project. 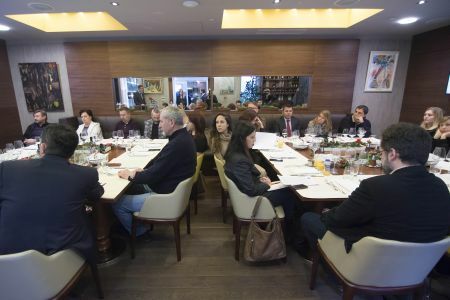 “We hope that this facility will justify the idea of the project and allow the exploitation of small ore deposits of strategically important metals such as lead or antimony that are all over Europe, and that it will provide Mineco a primary access to this technology to utilize its resources for launching a few smaller mines in Serbia and BiH”, said Popović. One of Mineco mines that is growing and developing is the Bosil-Metal mine in Bosilegrad. There is a project in a pilot phase, which examines the results of trial production of concentrates from excavated ore in order to develop a commercial flotation project. “This mine represents a great development opportunity for Bosilegrad and we are confident that this municipality will rise from the lowest category of development when the commercial production of lead, zinc and copper concentrates starts in 2020/21″, said Popović. As for other mines partially owned by Mineco: Gross near Srebrenica, Velika Majdan near Ljubovija and Rudnik near Gornji Milanovac have continued their good work, with positive results in the past year. In these mines, exploratory works continued in order to ensure the future of operations. Gross, the largest mine, recorded an investment of around $3 million in development, while the Rudnik mine invested nearly $5.5 million in its production and future. The Rudnik mine, a company of exceptional importance for the economy of the Milanovac region, can look calmly at the years ahead from the aspect of potential and capacity, Popović pointed out, adding that continuous large investments in geological research, both in Serbia and Bosnia, have led to Mineco adding a research drilling team to its team of geologists, which enables more efficient service to existing mines and new sites. 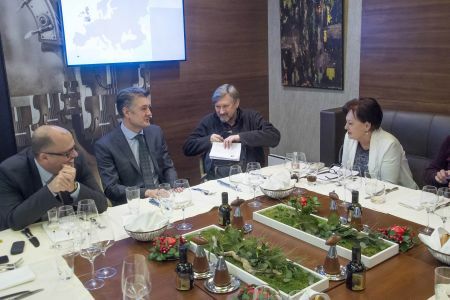 Popović also said that in the past year, the most demanding Mineco project, was the construction of a small hydropower plant on the Drinjač river in Bosnia, near Zvornik, primarily due to the extremely complex geological structure of the site. “During this year, all remaining works will be completed so that Medoš One will start delivering the first kilowatts to the Republic of Srpska’s electrical network”, said Popović. Mineco is an international group of companies whose essential work lies in the international trade of non-ferrous metals and ore concentrates, investment in mining and geological research. Mineco invests in and develops lead, zinc and copper mines in the countries of south-eastern Europe and the former Soviet Union, as well as in Canada and Turkey where the group takes partial ownership. The Mineco Group is the largest lead producer in the Russian Federation. Thanks to a wide partner network the Mineco Group operates globally in Europe, Asia, South and North America, connecting mines and metal smelters from Peru to China. In Europe Mineco with its partners employs about 2,500 people, about 1,600 of them in the Western Balkan region.